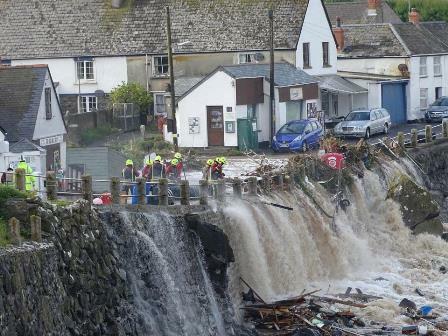 Ferocious flash floods swept through Coverack village and surrounding valleys in July, when torrential rain caused a huge amount of water to pour down the hillside into the sea. Several people were rescued from their homes, including two people who were airlifted by helicopter, roads were ripped up and about 50 properties were flooded. Working with St. Keverne Parish Council, Cornwall Council and other agencies, the Foundation immediately opened its Cornwall Emergency Fund. To date grants amounting to £6,505 have been issued from the Cornwall Emergency Fund to 14 applicants from Coverack and the surrounding affected areas. The first grants were awarded within a few days of the flood. To support local residents, the Foundation partnered with Cornwall Live and the West Briton newspaper whose readers donated £6,909 to the Cornwall Emergency Fund for Coverack.